For the first time, the fan-favorite LEGO City vehicles and play sets come to life in LEGO City: Undercover, exclusively for the new Wii U console. Players assume the identity of Chase McCain, an undercover detective armed with clever disguises.The mission is to put a stop to the fiendish Rex Fury and end his crime wave in LEGO City. As players run, drive and even fly through the city, they’ll use the Wii U GamePad controller as a new police gadget. This toy costs approximately £39.99 (for the latest and best prices make sure you check our retailer list for the LEGO City Undercover WII U above). 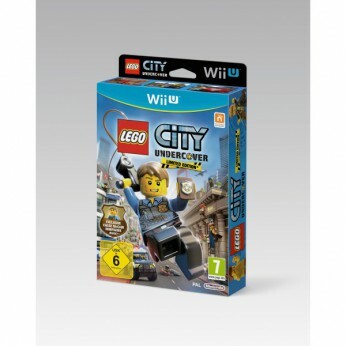 In our review of LEGO City Undercover WII U we classed it as being suitable for ages 4 years, 5 years, 6 years, 7 years, 8 years, 9 years but recommend you check the manufacturer specific advice before purchasing.